As it’s the middle of November, officially we’re still in autumn. 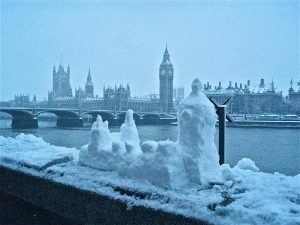 Winter doesn’t technically begin until Friday 21st December, but with the dark nights, cold mornings and the fact we’re less than six weeks from Christmas, it’s no surprise that many of us are feeling like winter in London has arrived. And as we’ve talked about before, it’s the summer months when so many people prefer to come to visit London, as there seems to be so much to do for all the family. From relaxing under the sun in a park through to strolling through the hustle and bustle of London late into the warm summer’s evening, visiting in summer definitely offers something for everyone. But so does visiting in winter. In fact, we’d go as far as saying that more people than you might realise prefer to visit in the colder months than the warmer months – and there are some really interesting reasons why. We’ve of course got Christmas right around the corner, and we see people flock to the city to soak up the festive atmosphere, which can make it appear to be busier than it ever has been. But generally speaking, winter is quieter than summer. If we look at the data just from international visitors to London, it shows that from the time the data started being recorded in 2002, quarter one of each year has seen the lowest visitor numbers of the entire year, generally followed by quarter four. Now of course we’re still talking of millions of people each quarter, but this decrease in the winter months is what makes it so appealing to some. There aren’t often any lengthy waits for attractions, shopping can be a quicker process and grabbing a seat in a restaurant is naturally much easier when there are less people looking for tables. On a different note, the more predictable weather of winter can make it much easier to plan. London summers can be hot. They can be cold. They can be wet and they can be dry. And this can all be within the same day. This can cause more than a few logistical headaches when trying to plan what to pack for your stay. Winter is, for the most part, much easier on this front. With the exception of the occasional stand out day, if you prepare for cool weather from October, which gradually gets colder until around February, coupled with a few showers – and potentially snow showers in the midst of winter – you’re generally going to be safe for your winter wardrobe. 3. You get to celebrate Christmas! Spending a weekend in London on the run up to Christmas is one of the most highly recommended things to do by so many people who’ve visited at this time of year. The atmosphere everywhere is electric. The festivities get everyone feeling positive and happy. The food, the drink, the music and the smells. It’s very much movie-like when you’re walking down Oxford Street with the sounds of carol singers echoing around the crowds of shoppers, illuminated by the wonderful Christmas lights. Book now: come and take advantage of our Christmas offers! We truly love Christmas at DUKES. From enjoying a sumptuous mince pie with your afternoon tea through to a full Christmas feast for your evening meal, we make such a huge event for what’s effectively one day of the year, but it’s the entire period that means so much. It brings people together. It spreads positivity and goodwill. It creates a feeling right throughout the city that encapsulates what the festive season is traditionally all about. And to experience it – even if only for a day or two – is truly fantastic. Winter officially runs until 20th March 2019. This means that when you’re visiting London, taking Christmas to one side, you have the opportunity to experience some of the most popular events that London comes alive for. The close-by New Year’s Eve is always a great event as London’s skyline is illuminated with fireworks on the strike of midnight, for example. And then the next day begins the month long Re:Solutions Festival, which offers 31 days of encouragement and positivity in the form of dance classes, live music and more, all to help support your resolutions for the year. Towards the end of the month we have Burns Night on 25th January, an ever-popular celebration of the poet Robert Burns, and shortly after we’re set to revel in the wonder that is the Chinese New Year (5th February), before the event of all things love and affection, Valentine’s Day, on 14th February. With London Fashion Week (16th to 20th February), Shrove Tuesday (5th March) and St Patrick’s Day (17th March) all falling within the winter period, too, whenever you visit you won’t be far from a fantastic, lively atmosphere. With only 40 days left until Christmas is here, it’s undoubtedly a brilliant time of the year to come and see what London has to offer. 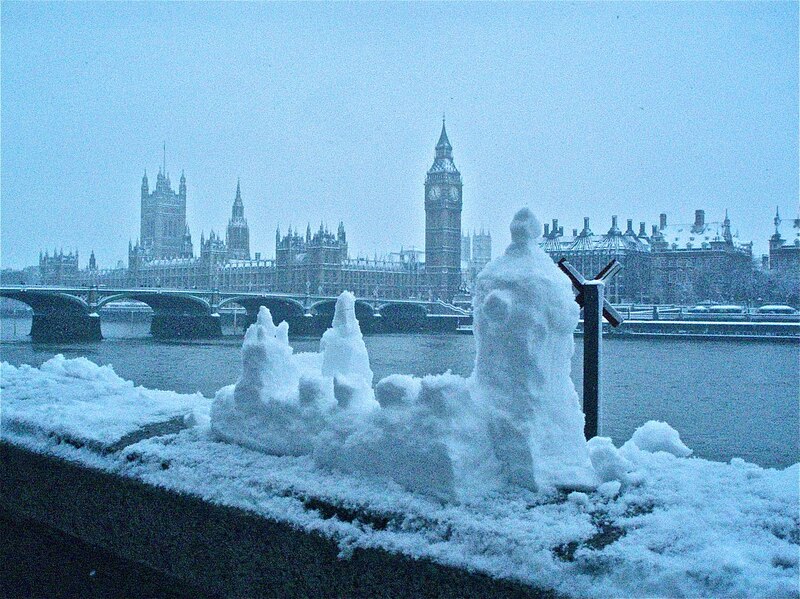 But Christmas isn’t the only reason you should visit London at this time of year – and in fact, it’s only one of the reasons why so many people fall in love with a visit to the city during the winter months. With everyone having their own personal reasons, we’re certain that if you’re coming to join us at DUKES over the coming months, you’ll have nothing other than a truly superb time. Why do we love working with so many Royal Warrant holders at DUKES?